As Porsche can attest, it’s not easy carrying the mantle of a legend decades in the running. The 3 Series has stood at the forefront of what a sports sedan should be since its debut more than 3 decades ago. Making changes to such a perfect recipe while still maintaining the flavor that made it perfect is a challenge. Wavering here and there along the way, BMW has managed just that and heads into a new generation with every indication the march will continue. But subtle changes can mean big differences. Revolutionary as these changes sound, it’s still recognizable as the 3 Series you’ve come to love, even if it’s drifted more toward 5 Series status at this point. Overall the car grows in every dimension except weight, with the lion’s share going toward a stretched wheelbase: 108.7 inches for the 2-door coupe and 110.6 for the 4-door sedan. But the 3 Series lost something besides weight with the most recent redesign, and sadly it’s some cylinders. On paper, there’s nothing to lament. The new turbo 4-cylinder is an improvement over the old inline 6 in every objective category, with direct injection, faster Valvetronic timing and lift, and forced induction. It all adds up to more power and less weight than the old motor with 10 more horses and 60 more lb-ft of torque that show up 1,500 rpm earlier. And even with the added weight of the twin-scroll turbocharger, the 4 is a skinnier mill, contributing to a now-perfect 50/50 weight distribution in the 328i. With a combined efficiency rating in excess of 30 mpg, it’ll be hard to stay salty at the pump as well. But if you’re still not ready to let go of 6 cylinders, the 335i still offers the turbocharged version of that engine. Everyone gets automatic start/stop too, but not everyone is happy about it. Some say it’s still too rough and feels too close to a stall when engaging and disengaging. Give people time to get used to it, or for the system to go haywire and be abandoned. The fight for efficiency didn’t end there, as the resculpted body of the 3 Series is more aerodynamic as well—down to 0.26Cd from 0.29, and new variable-output coolant and oil pumps further increase efficiency mechanically. Unfortunately electric steering is another of those efforts, and the system is not on par with the legendary feel of the old hydro setup. There’s nothing but disappointment to be had here, with a side-helping of hope that they’ll soon get it right. There’s more space inside, and features aren’t in short supply either, with dual-zone automatic climate controls, heated power mirrors and hi-def radio with Bluetooth and USB all standard. All improvements, but not all an improvement. The 3 Series has always been the industry icon with regard to steering feel and agility, and despite the 3 Series’ 4-cylinder beginnings, it’s the naturally aspirated inline 6 that has been the fan favorite. The new 3 Series has none of these things, and because of that it’s wandered a bit too far from the formula. That 1 Series is looking better and better. 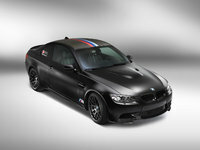 What's your take on the 2013 BMW 3 Series? 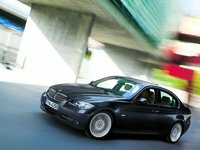 Users ranked 2013 BMW 3 Series against other cars which they drove/owned. Each ranking was based on 9 categories. Here is the summary of top rankings. 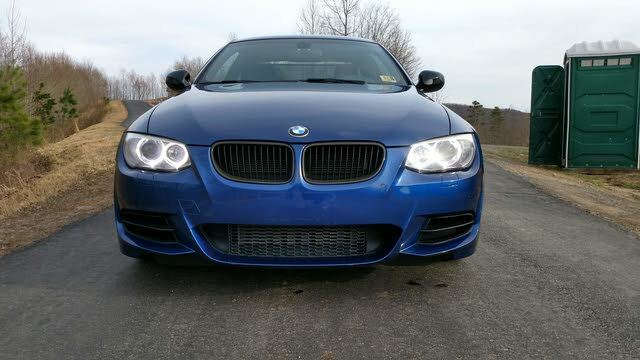 Have you driven a 2013 BMW 3 Series? 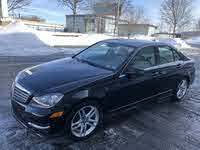 I would like to purchase an all wheel drive 3.0 in line 6 with out a turbo in Black, white or silver. 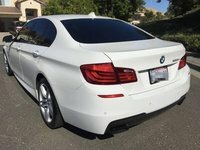 2013 BMW 3 Series 328i Sedan 4D - 123K Miles Alot? Hi my problem is Solving the problem of not displaying the amount of fuel in a BMW Model 320 2013 please ask me.